Whether we love it or hate it, reader’s advisory is a big part of our jobs. And, if you’re anything like me, you have your go-to books that you always recommend when a customer is asking about a particular genre. But what happens when your go-to books aren’t making the cut? In an effort to keep my reader’s advisory skills sharp and up-to-date, I periodically spend time creating lists of books to recommend based off of a certain genre or subject. Today I will be sharing my current list of fantasy books. This is a list of fantasy books that I feel have strong kid appeal and are something that I can confidently book talk. You will not find the obvious books on this list (no Where the Wild Things Are, no Roald Dahl, no Harry Potter). This is not because I don’t book talk them (I’m a HUGE Harry Potter fan!!!). But it’s because I’m trying to think outside of the box with this list. *Summaries taken from the catalog unless otherwise stated. 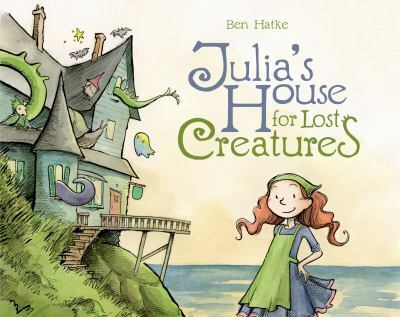 Summary: Julie welcomes all lost and homeless creatures into her house, whether they be cats or trolls, ghosts or dragons, but soon realizes that each must have a chore in order for the arrangement to work. Erin’s Comments: What fantasy-loving child wouldn’t want a house full of magical creatures? This story features a tale about teamwork, but it’s the artwork that really draws you in. 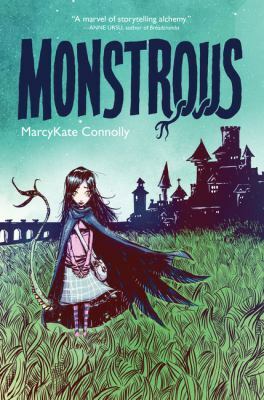 The coziness of the cottage deflects from the ghoulish creatures, making this a perfect book for kids who love fantasy, but who don’t necessarily want to be scared. Summary: Goblin, a cheerful little homebody, lives in a cosy, rat-infested dungeon, with his only friend, Skeleton. Every day, Goblin and Skeleton play with the treasure in their dungeon. But one day, a gang of “heroic” adventurers bursts in. These marauders trash the place, steal all the treasure, and make off with Skeleton-leaving Goblin all alone! It’s up to Goblin to save the day. 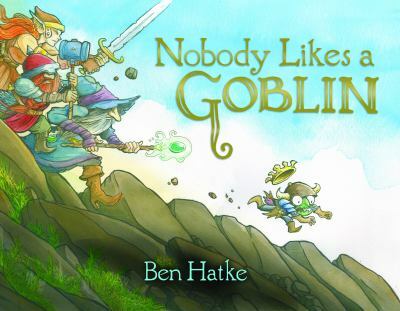 But first he’s going to have to leave the dungeon and find out how the rest of the world feels about goblins.”–Amazon.com. Erin’s Comments: Got a kiddo who’s looking for a good quest? Well, look no further! I feel like I’m cheating by listing another Hatke book, but this one is just too good to pass up. Like Julia’s House, this book features wonderful artwork that some how makes goblins and skeletons seem downright friendly without making them too cherubic. 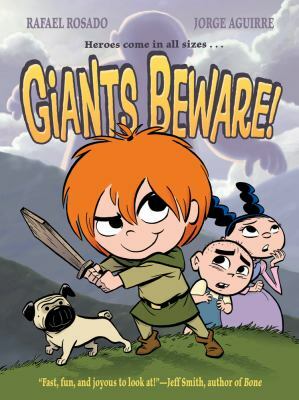 As a bonus, this book also has a high fantasy/Dungeons and Dragons vibe to it, while staying kid appropriate and short. Summary: Using a red marker, a young girl draws a door on her bedroom wall and through it enters another world where she experiences many adventures, including being captured by an evil emperor. Erin’s Comments: Stepping through a doorway to enter another world is classic fantasy. 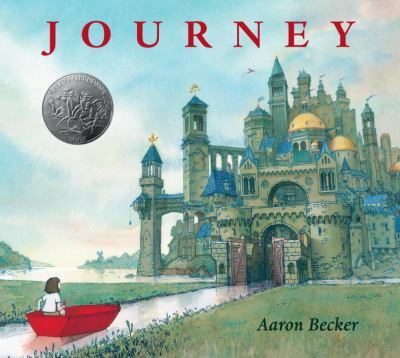 This one may or may not be a hard sell, depending on whether the child/parent sees the value of a wordless picture book, but the illustrations are so gorgeous that I’m sure even the most skeptical would be willing to spend even just a few minutes flipping through it. Erin’s Comments: From imaginary friends, to time traveling road trips, to Humpty Dumpty overcoming his fears, Santat’s books are pure magic! If I could, I’d talk about them all individually, but then this list would be ridiculously long. 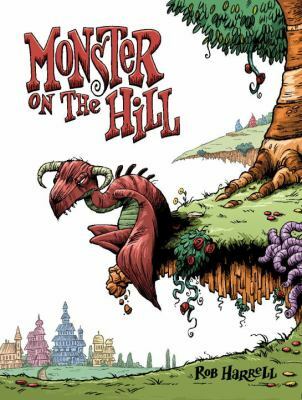 Santat has a talent for capturing the magic of a child’s imagination, so just about any of his books that you hand over to a fantasy-loving child will be a big hit! 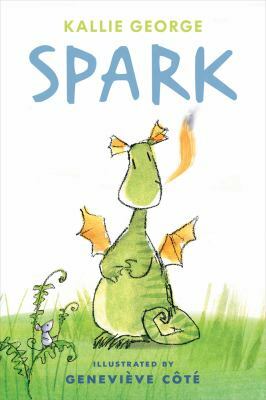 Summary: “Spark is a little dragon with a big problem. He can’t control his fiery breath. Even practicing doesn’t help. Will Spark ever be able to tame his flame?”– Provided by publisher. Erin’s Comments: For kids who are starting to read on their own, the Tiny Tales series by Kallie George is great! 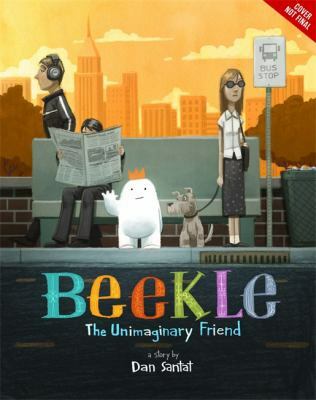 Each book focuses on a different fantastical animal, and the illustrations are…I’m just going to say it…super cute (I’m not adept at talking about art, you guys; everything is just cute or beautiful or gorgeous). 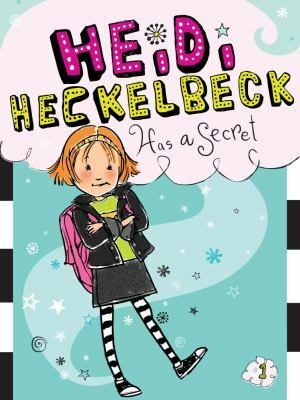 Summary: After being homeschooled her whole life, Heidi Heckelbeck enters a real school in second grade, where she encounters a mean girl named Melanie who makes her feel like an alien. Erin’s Comments: You spend most of the first book thinking that this is realistic fiction, then the cliffhanger at the end (psst: she’s a witch) totally throws you for a loop. I’ve had great success selling this book to kids who like their fantasy to have a little bit of a realistic aspect to it. 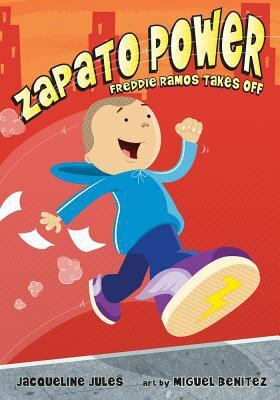 Summary: Freddie finds a mysterious package outside his apartment containing sneakers that allow him to run faster than a train, and inspire him to perform heroic deeds. 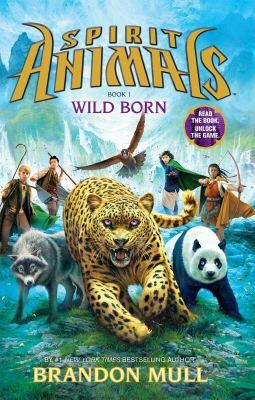 Erin’s Comments: Speaking of books that feature both realistic fiction and fantasy, this series is great for beginning readers, particularly those who would rather be a superhero instead of a witch or wizard. This book also has a bit of mystery to it, which really broadens the appeal! 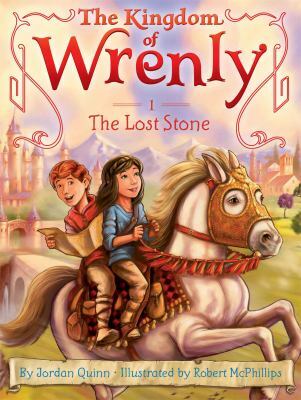 Summary: Eight-year-old Lucas, Prince of Wrenly, is eager to explore and Clara, daughter of the queen’s seamstress, knows the kingdom well, so they team up to find a lost jewel and visit all of the land’s main attractions as they search. Erin’s Comments: Okay, I admit that I haven’t read this one myself, so I really can’t comment on it beyond what the catalog is telling me. But it sounds perfect for young kids who like their fantasy to have a bit of mystery, royalty, and adventure. Summary: Jack dreads summer because his single mother has to work and leaves him at home with his boring little sister who is autistic. She doesn’t talk at all. Ever. But one day while they are at a flea market, she does talk. She tells Jack to trade their mother’s car for a box of mysterious seeds. It’s the best mistake Jack has ever made! Erin’s Comments: Here’s Hatke again. Clearly I have a thing. But modernized fairy tale retellings are all the rage these days, and this one just happens to be in comic book form! And just look at that cover! It practically sells itself to any kid who likes fairy tales, graphic novels, or battling beasts. Summary: “In a fantastical 1860s England, every quiet little township is terrorized by a ferocious monster–much to the townsfolk’s delight! Each town’s unique monster is a source of local pride, not to mention tourism. Each town, that is– except for one. Unfortunately, for the people of Stoker-on-Avon, their monster isn’t quite as impressive. In fact, he’s a little down in the dumps. Can the morose Rayburn get a monstrous makeover and become a proper horror? It’s up to the eccentric Dr. Charles Wilkie and plucky street urchin Timothy to get him up to snuff, before a greater threat turns the whole town to kindling”–Page 4 of cover. Erin’s Comments: Got a kiddo who has a dry, almost morose, sense of humor? This might be the graphic novel for them! Summary: Claudette wants nothing more than to slay a giant but her little village is too safe and quiet. 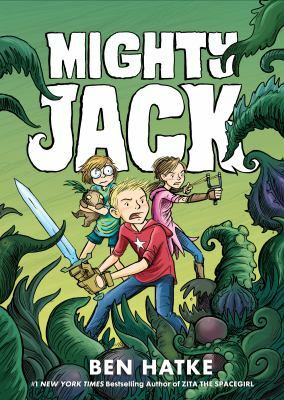 Erin’s Comments: Not only is this graphic novel a great fantasy, complete with mythical creatures and sword-fighting adventure, but it’s also really funny! Hand this one to a kid who likes their fantasy to have a lighter side. It’s also a series, which means kids will have plenty to read! Summary: With her glass slippers and devotion to good deeds, Sophie knows she’ll earn top marks at the School for Good and join the ranks of past students like Cinderella, Rapunzel, and Snow White. Meanwhile, Agatha, with her shapeless black frocks and wicked black cat, seems a natural fit for the villains in the School for Evil. 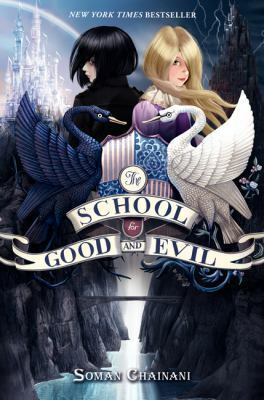 The two girls soon find their fortunes reversed—Sophie’s dumped in the School for Evil to take Uglification, Death Curses, and Henchmen Training, while Agatha finds herself in the School for Good, thrust among handsome princes and fair maidens for classes in Princess Etiquette and Animal Communication. Erin’s Comments: This book has a strong Harry Potter vibe, plus lots of fairy tale references. But the best part of it constantly defies fairy tale stereotypes, which is so, so refreshing! Summary: When twelve-year-old Farah and her two best friends get sucked into a mechanical board game called The Gauntlet of Blood and Sand, a puzzle game akin to a large Rubik’s cube, they know it is up to them to defeat the game’s diabolical architect in order to save themselves and those who are trapped inside, including her baby brother Ahmed. 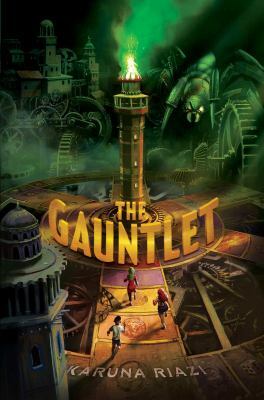 Erin’s Comments: This book is a little bit Jumanji and a little bit steampunk, but it’s also a whole lot of fun! Hand this one to readers who like to solve puzzles. Summary: Kymera, who has a raven’s wings, a snake’s tail, and a cat’s eyes and claws, loves the father who brought her back to life after a wizard killed her, but she begins to question his motives, especially after she connects with a boy in the town from which she is rescuing sick girls. Erin’s Comments: This one is reminiscent of Frankenstein, but it also features a girl who feels like an outsider and ends up saving the day. Also, that cover pretty much sells itself. Summary: “Clay has lived his whole life under the mountain. The MudWing dragonet knows war is raging between the dragon tribes in the world outside – a war that he and four other dragonets are destined to end, according to the mysterious prophecy they have been taught. The five “chosen” dragonets were stolen from their homes while they were still in their eggs – and hidden away for years – all to fulfill the prophecy. But not every dragonet wants a destiny. And when danger threatens one of their own, Clay and his friends may choose freedom over fate … leave the mountain … and set the dragon world on a course that no one could have predicted.” — Jacket. Erin’s Comments: I almost didn’t include this one because it’s getting popular to the point where it’s an obvious choice. But this series about dragons is character driven, has excellent world building, and is all around a lot of fun. 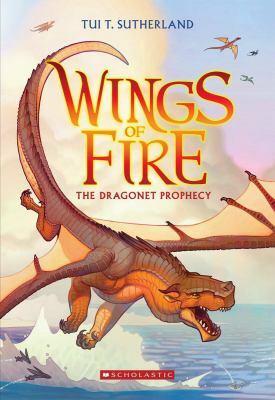 Erin’s Comments: This one almost didn’t make the cut for the opposite reason than Wings of Fire: It was super popular at one time, but it’s popularity seems to be waning (at least at my library). Still, it’s a great series to suggest for the animal lovers out there. And that is it! There are obviously many, many more fantasy books out there. Which ones do you like to book talk?